Nelson Ireson December 7, 2012 Comment Now! 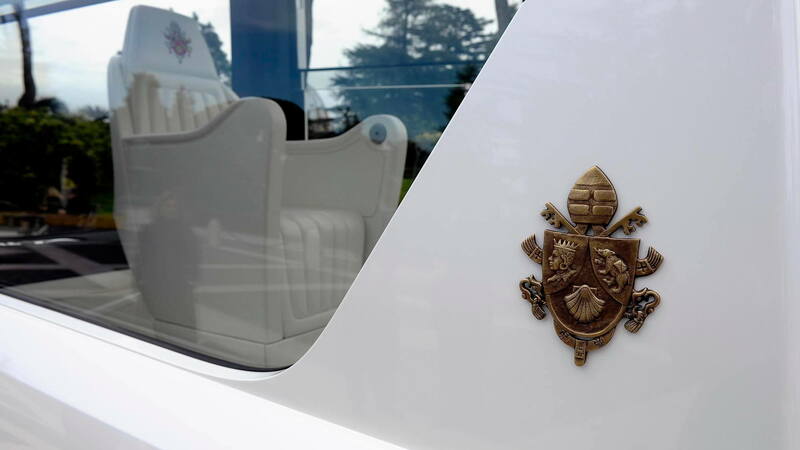 From Ford-based presidential limos adapted for His Bubble-car-ness to SEAT Pandas to Chilean one-offs, the Popemobile has a history as colorful as the garments of the man who rides in its protective shelter. 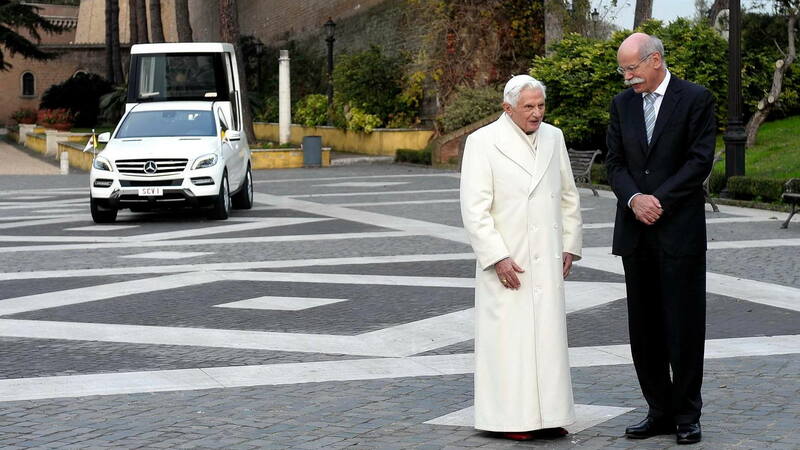 The newest Popemobile, based on the Mercedes-Benz M Class, was delivered today to Pope Benedict XVI at the Vatican. 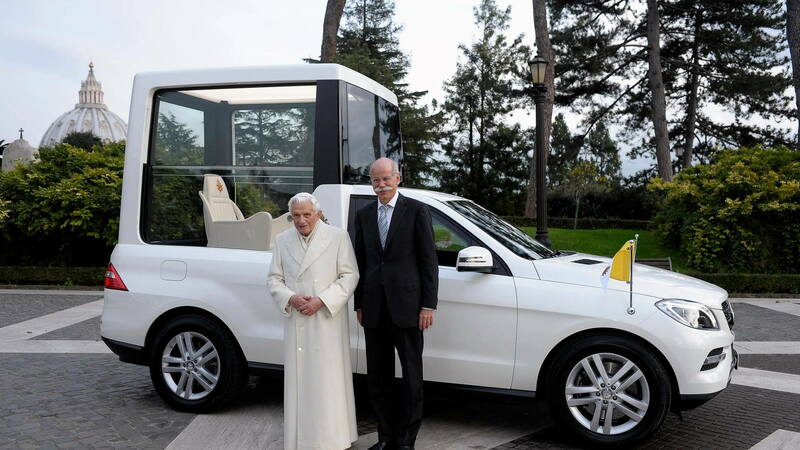 Pope-specific additions to the M Class include an extended dome (taller than the previous version) to allow more movement and easier access; an enhanced view of the Pope for spectators, with larger glass panels and an illuminated roof lining; an embellished throne; and structural elements to ease transport of the M Class Popemobile by air. 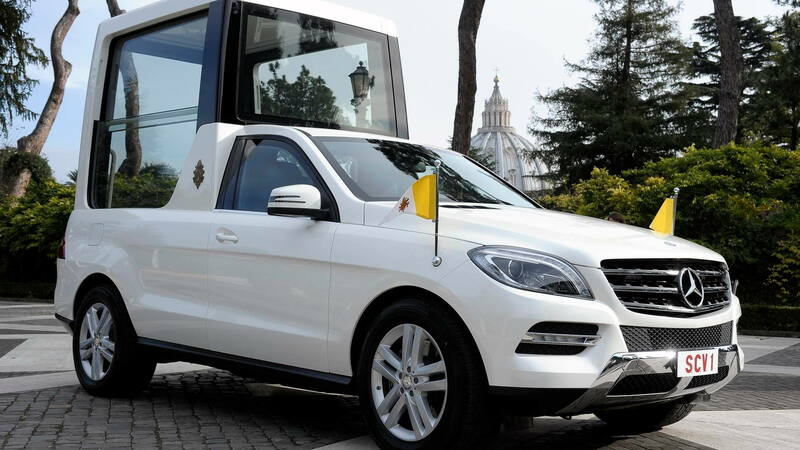 The SUV-based New Popemobile follows a long line of Mercedes-Benz cars used by the leaders of the Catholic Church over the past 80 years. 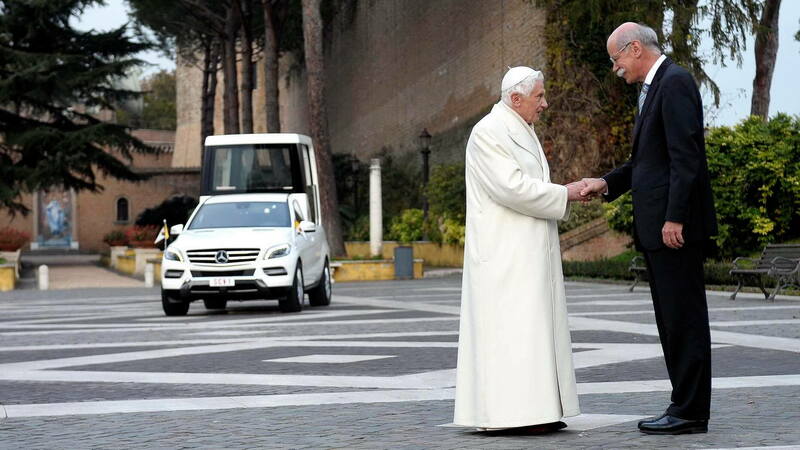 Those include the first, a Nürburg 460 Pullman Saloon for Pope Pius XI; a 600 Pullman Landaulet and 300 SEL for Pope Jon XXIII; a modified G Class for Pope John Paul II; and the previous Popemobile, used by both Popes John Paul II and Benedict XVI, another Mercedes-Benz M Class. The car's first public appearance with the Pope within is expected to come tomorrow, during the Catholic Feast Day of the Immaculate Conception at the Spanish Steps in Rome.